I am uneasy about my contribution to the atmospheric carbon burden. The fact that everybody around me with a thriving professional life and geographically scattered family is travelling as much or more does not assuage this unease. But what would happen if we drastically cut down on our travel? For one thing, my professional life would suffer and I would miss my close family members. Furthermore, the economies of the countries that rely heavily on tourism would suffer. We witnessed it vividly while visiting Morocco earlier this year (this was one of the side excursion appended to a professional trip to Europe). Morocco is a perfect tourist destination: it has history, architecture, art, incredibly diverse landscapes and climates, tasty cuisine, and warm and friendly people. It has good roads and hotels, the well-organised tourist industry, and it is safe. But tourism is way down in Morocco, probably owing to a mistaken perception that it is not entirely safe, as a Muslim country in North Africa. 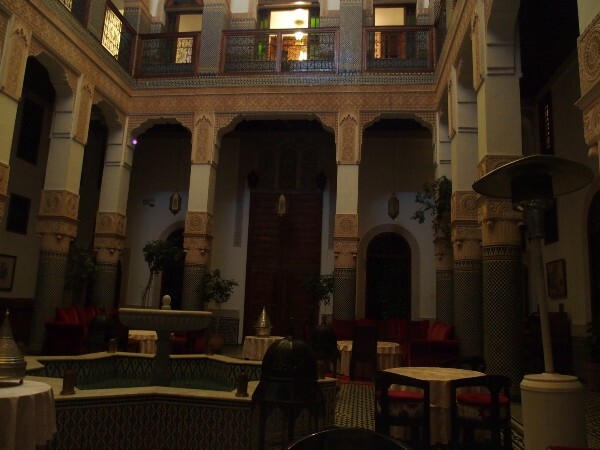 We stayed in half empty palatial guesthouses in Fes and Marrakesh, ate in very quiet restaurants, visited empty shops, and walked through fabulous marketplaces with very few visitors from Europe, North America or Asia. Local merchants and guides confirmed these observations. 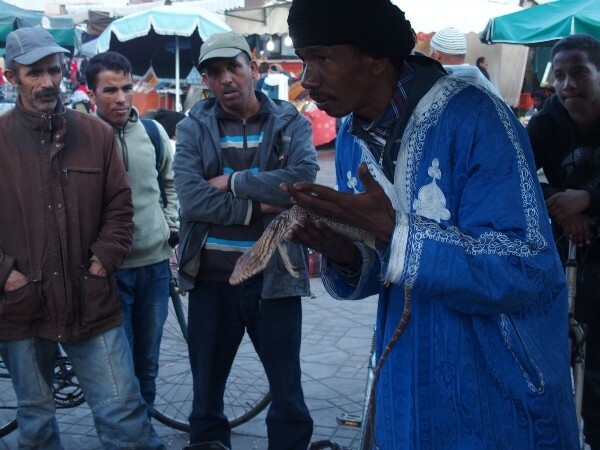 So if our carbon miles are essential for Morocco’s economy, how do we reconcile this fundamental conflict? It is somewhat analogous to the dilemma faced by the US and other wealthy countries: that consumption and consumerist lifestyles are propping the national economies. The need to realign a national economy away from mass consumption is one of the central topics of debate among the Sustainable Consumption community. To my knowledge, nobody has so far figured out how to do it, though all kinds of untested interesting ideas are circulating. And with regard to tourism, last week Richard Wilk sent to the SCORAI listserv an article about some countries taking steps to control the inflow of tourism, recognising its destructive local impacts. Although these initiatives are not driven by the concern over global carbon emissions from air transport, they nonetheless draw attention to this hugely important topic. Finding a way out — either from consumerism or from destructive tourism — is not going to be easy. As the author said, it’s a difficult balance between supporting the economy and acting sustainably. But with that argument we tend to forget—or willingly ignore—that the whole problem is only caused by an ever increasing complexity of global society co-aligned with a system that tells us that any deviation from the status quo is harmful and dangerous to our very own priviledged existence. We think that others are dependent on us and our emissions, while maybe it’s us who made them loose their previous job in the first place. Through trade agreements that were proclaiming growth in economy and jobs. Through green revolution and gene revolution that changed century-old agricultural practices. Through livestock breeding causing desertification, or through climate change leading to extreme weather events. Or maybe because we travelled in the first place creating demand and infrastructure for the very same tourism industry that is now struggling. I’m not arguing that Morocco would be better of if no one came as a tourist. Instead, I argue that we should think about whose interest we are supporting (and entrenching) when we try to justify travel (professionally or privately) and whether those interests are the best for all human beings and the planet. Personally, I think that travel/tourism (as in shifting monetary resources to other economies “in need”) may mitigate the problem, but it does neither question nor solve it, it does not even try to do so. It rather builds up on, recreates, and stabilizes global power relationships (read: injustice) through dependencies that the West has been working on for the last few centuries. So the question you are posing is in my perception not about whether or not to travel, but whether we want to improve the global status quo, or whether we want to question and contest it in attempt to achieve a (in my opinion) much better outcome for everyone. As a side note, I would be curious how large the environmental impact (through travelling, academic practice, …) of network members actually is. And whether these weigh up to the benefits of research.